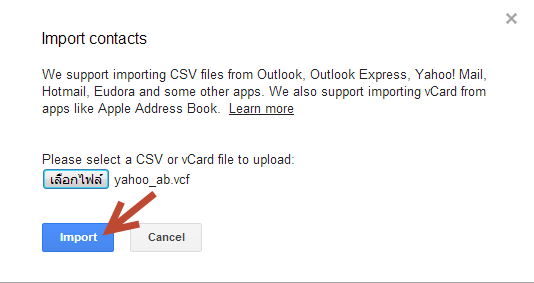 Sign In your email on Yahoo and choose "Contacts"
select some email addresses or select all. 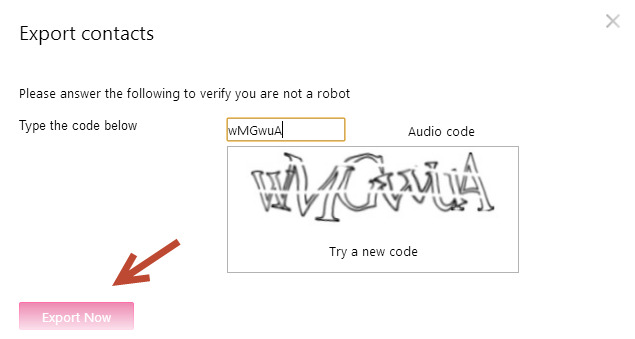 Type the code you see for verifying the process. Wait for downloading, and it will be saved on your computer. 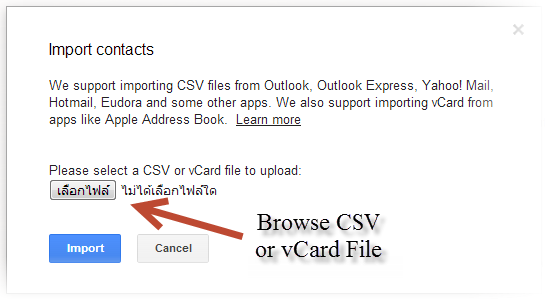 Click on "Gmail" and choose "Contacts"
Click on "More" and choose "Import..."
Click on the button "เลือกไฟล์" for browsing CSV or vCard File same to this picture. 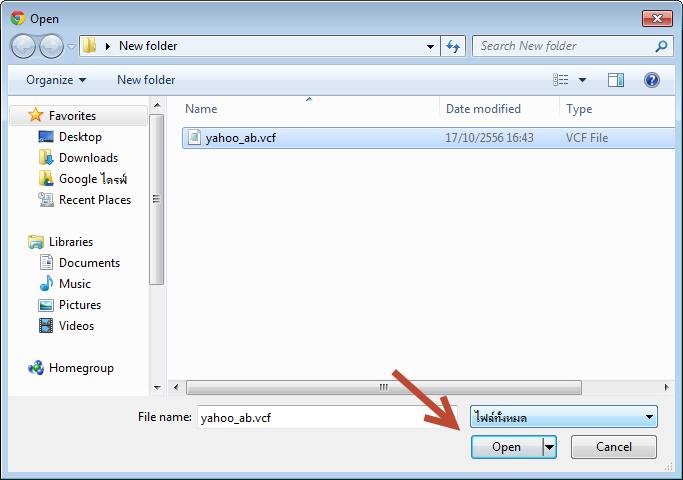 Choose the file and click "Open" button. There will show the same window, click "Import" button. 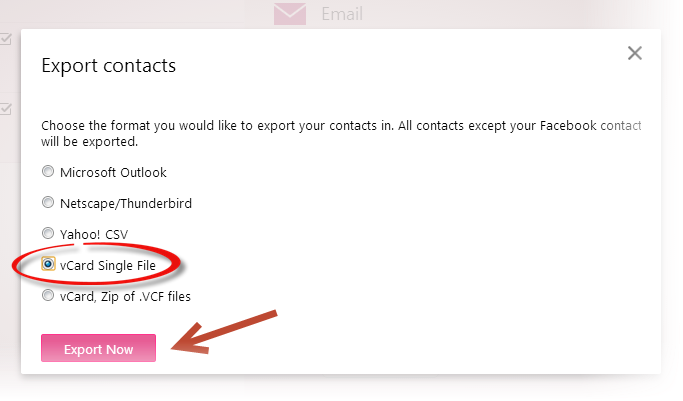 The contacts which you imported will show on the Contacts. 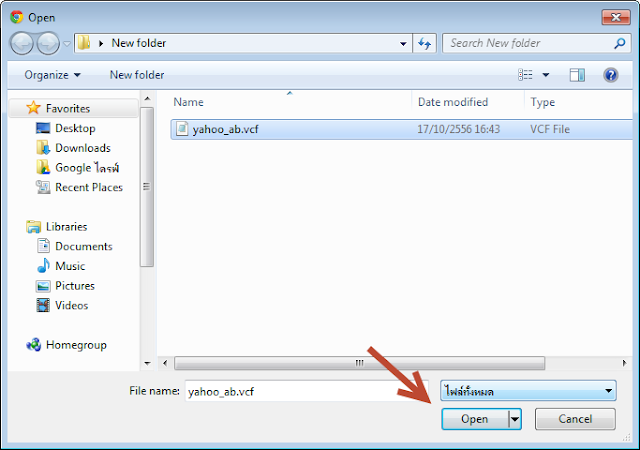 Click "More" and choose "Export..."
Then, the file will be saved to your computer. 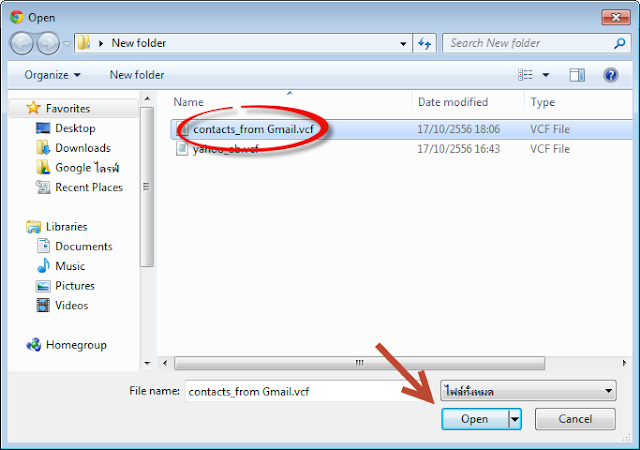 Next process you should open other window or tab for signing in your email by TL system. 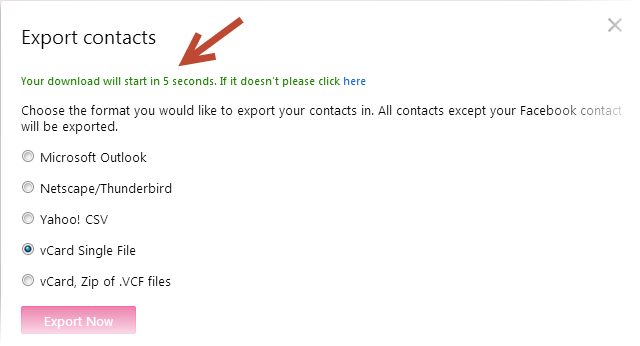 Sign in your email, choose "Contacts" and click the arrow button same to this picture. 16. 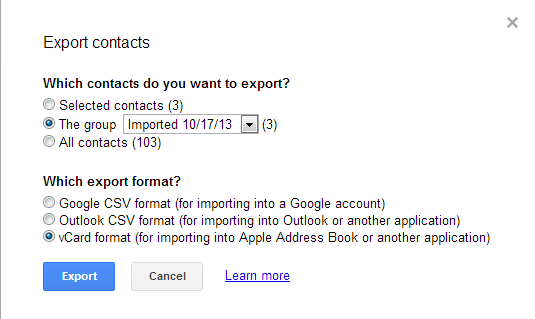 เลือกไฟล์ที่เรา Export มาจาก Gmail และกด Open. Choose the file which you exported from Gmail and click "Open" button. The Contacts now show on the same page.